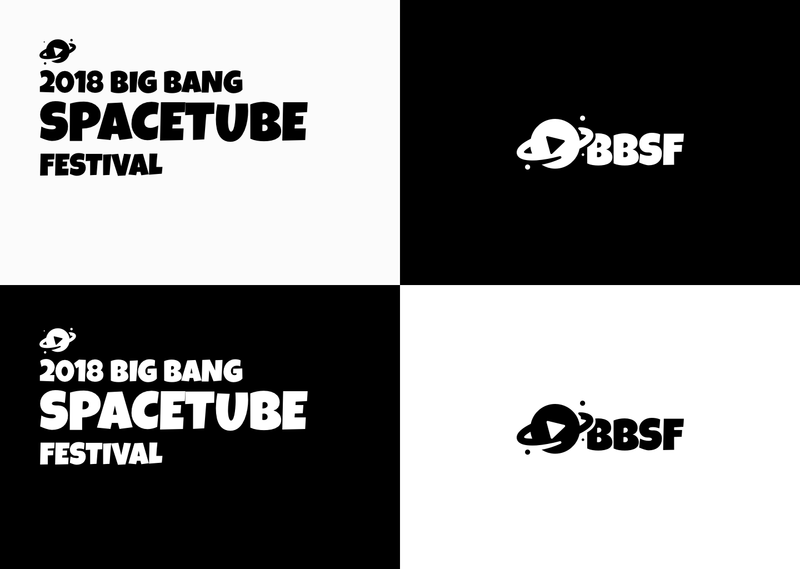 After working for 27 years at the European Space Agency, Benjamin Schreiber decided to start a passion project called Big Bang Spacetube Festival. 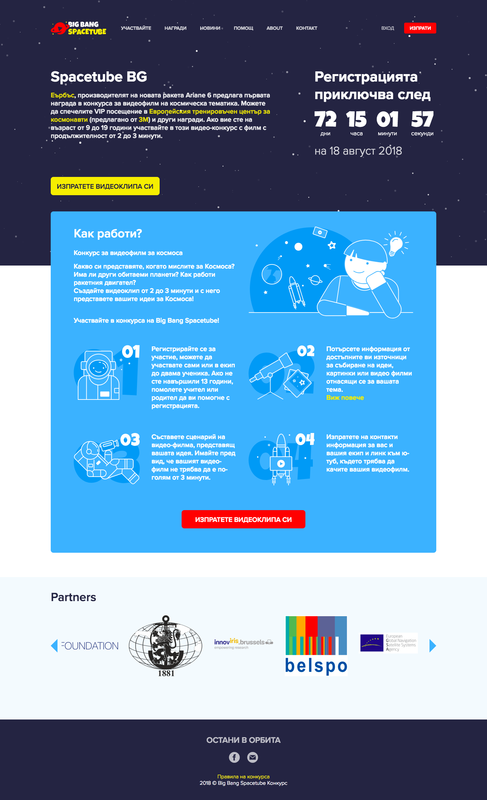 Big Bang is a video contest strictly for kids who want to learn more about space and science. After a long search for the right partner, he chose Evermore to design and develop a website for hosting video contests in multiple European countries. Based on user needs and an exhaustive market research, we created a cost-effective video contest platform that gives a nice submission experience for the kids and an easy contest management solution for administrators. We started working on the project mid-January and as this was the first year for Big Bang, we needed to do everything literally from scratch. With a limited budget and timeframe (~ 3 monts) for the project, we had to move fast. We understood that Benjamin would like to organise this event annually or biannualy. This meant we had to create a solution that can be recycled without significant costs, unlike most of the subscription-based video contest services you can find online. The other challenge was that the contest was to be organised in 3 different countries (Belgium, Bulgaria, The Netherlands) in 3 different languages. We had to think of a solution that enabled managers of the contest to build pages and post content in their own languages. How kids are going to submit their videos? How managers are going to review and moderate submissions? 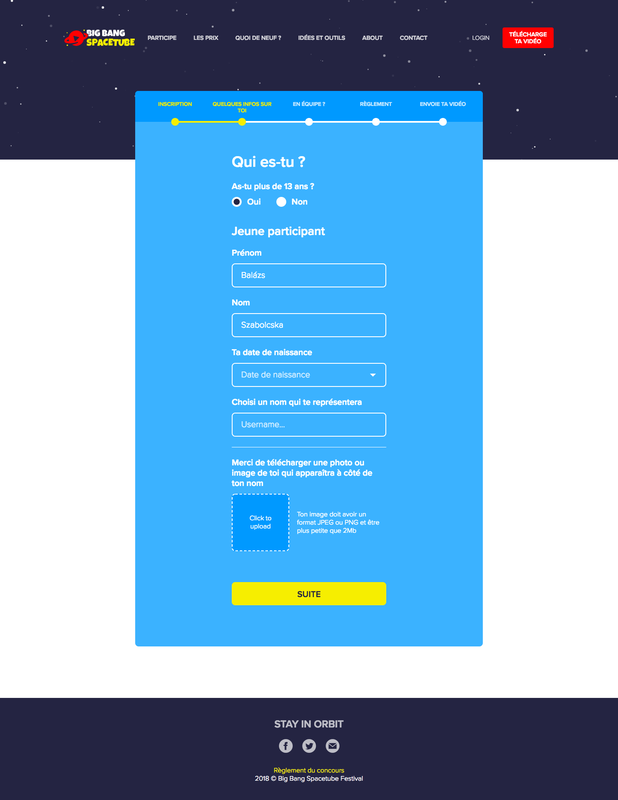 We designed a flow where the kids can take on the steps of the registration process one-by-one. They can quit and come back whenever they want without losing any of their data. We reduced hosting costs by directly uploading the video submissions to YouTube. As the contest is for kids, we needed to be extra cautious that no inappropriate content appears on the website. To make sure this is the case, we created a powerful contest management module, that allows reviewing and filtering the submissions before they are posted on the public facing website. Moderators can easily get in touch with kids or their guardians to let them know about any problems or help them make their submissions better. The content management system is built on Ruby on Rails, where administrators can create multiple contests in multiple languages without cost implications. Each contest is managed separately, so the contests are quite flexible and have their independence. 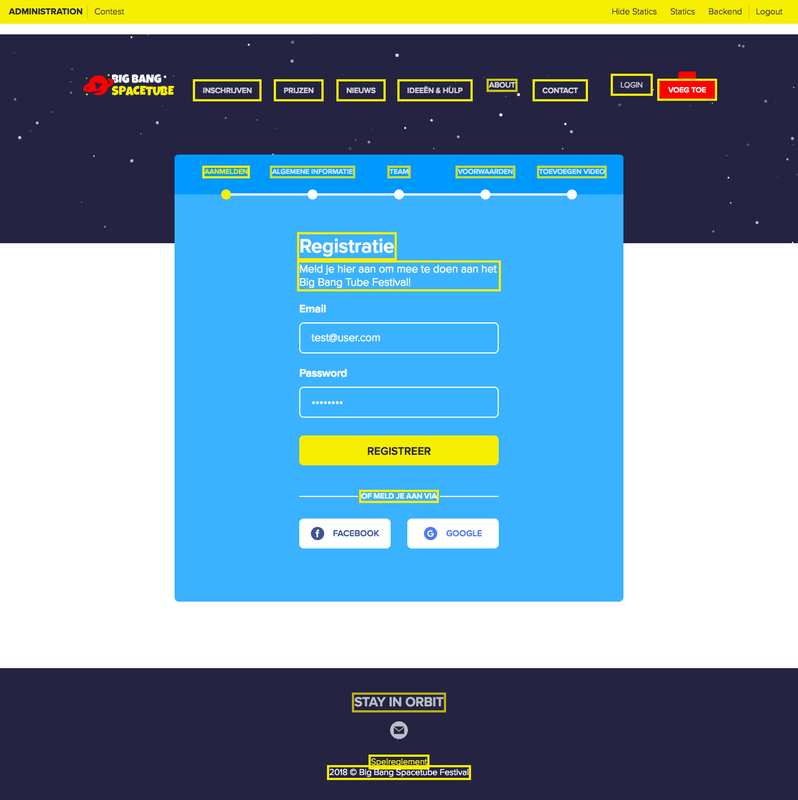 We are happy to say that the first Big Bang Spacetube Festival has launched at the end of last month and the first contestants have already registered. The best submissions are going to be selected by public voting and a professional jury. Every country is going to have their own closing event in their respective science or space research centers. On these final events, the best videos are going to compete for valuable prizes. Most importantly we’ve started another great partnership and an inspiring project that is hopefully going to be around for many years to come. Go check out the website at http://www.spacetube.xyz! Thanks to Zlatan Zlatanov and Vasil Nedelchev.